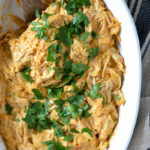 Kick off your next football party with this Buffalo Chicken Dip that is loaded with chunks of shredded chicken and tossed in an irresistible Buffalo sauce. 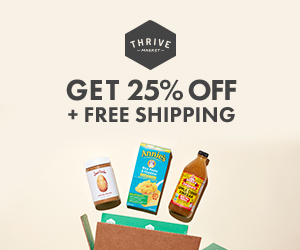 It’s so delicious you won’t even believe it’s dairy free! Being a Buffalo gal I love my Buffalo chicken wings but here in Buffalo we don’t call them Buffalo Wings, we just simply call them wings! There are some great places in Buffalo that have authentic Buffalo wings so if you ever find yourself in Buffalo or visiting Niagara Falls you’ll definitely want to make a trip to Anchor Bar which is the place that started the Buffalo wing craze or try one my favorites, Duff’s which has a huge selection of wing flavors including a Sweet Carolina BBQ which is my personal favorite! Even my kiddos love chicken wings! 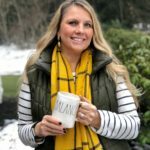 The funny thing was when I was pregnant with my kids I had an aversion to chicken until my friend introduced me at the time to Buffalo Chicken Wing Dip. I craved this stuff so bad. It’s the only chicken I ate for the first part of my pregnancy. No wonder why my kids love chicken wings now! Anyways I absolutely love Buffalo Chicken Dip. 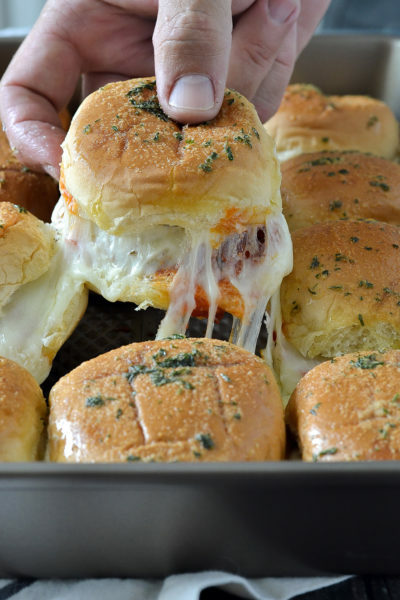 I used to make it all the time the way many of us have grown to love it using cream cheese and ranch dressing. I’ll admit it’s good stuff! And if you’re following a low carb diet it’s a great dip to make and enjoy with slices of cucumber, chunks of bell peppers or even carrots and celery. 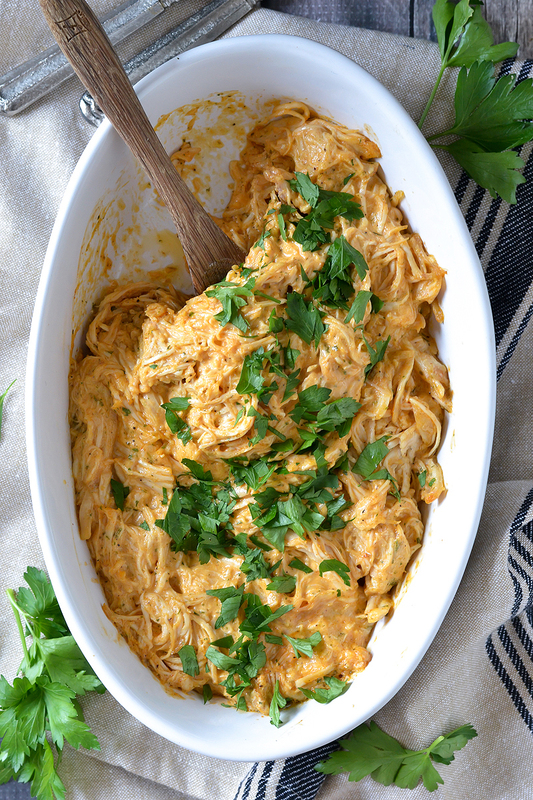 When I started my paleo-ish diet earlier this year I also gave up most dairy so when it came to making my beloved Buffalo Chicken Dip I had to come up with some alternatives to make it just as good as the original and boy does this one knock it out of the park! 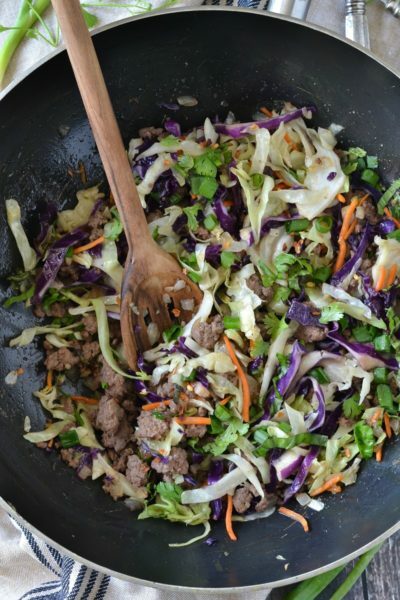 Honestly I actually like this recipe more! 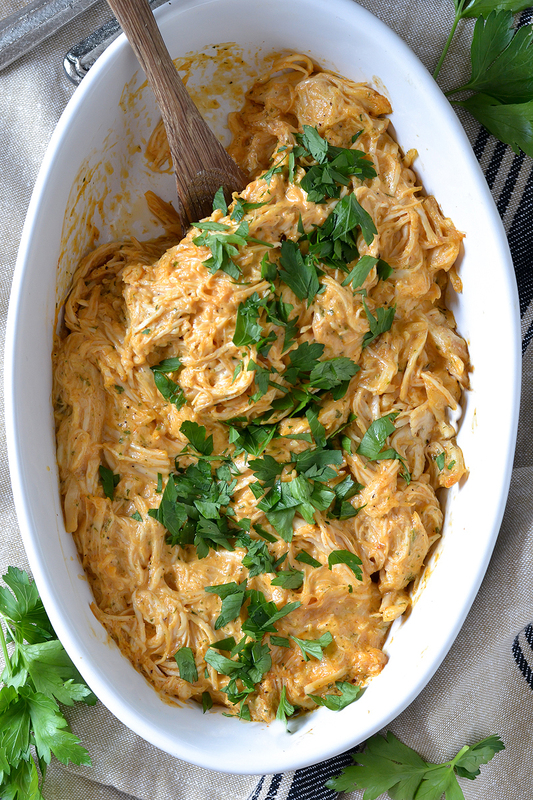 It’s loaded with chunks of shredded chicken and smothered in a delicious Buffalo sauce we all know and love. 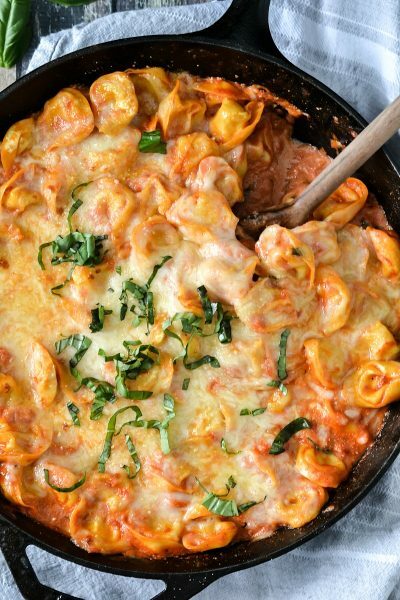 Truly this dip is irresistible and you don’t even miss the dairy! 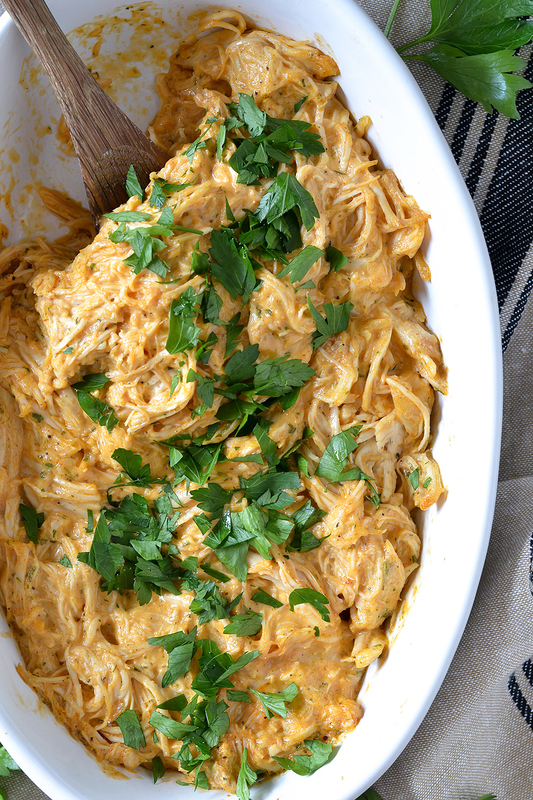 Whether you are paleo and/or dairy-free or not this Buffalo Chicken Dip is a must try! 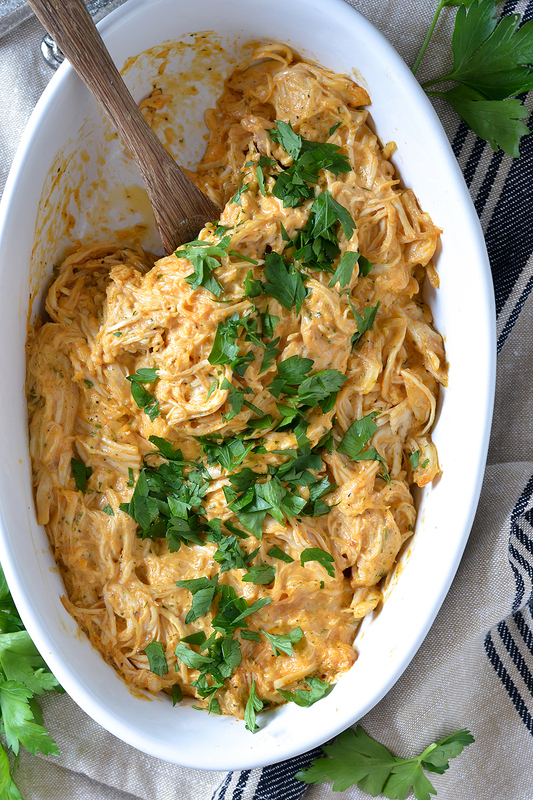 This recipe couldn’t be any easier and is perfect for any party or just if you’re in the mood for some Buffalo Chicken Dip! I toss a bunch of chicken breasts in my Instant Pot with some spices including salt, pepper, garlic powder, oregano and paprika and set it on the poultry setting. In 25 minutes I have tender and juicy chicken that is literally falling apart. I usually make a big batch so I have some for this dip and save the rest to use on salads. 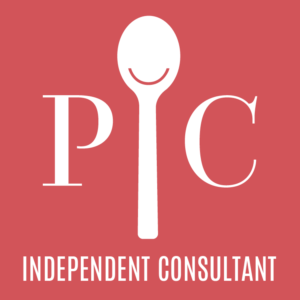 If you don’t have an Instant Pot, no worries! Before I got my Instant Pot I’d bake a bunch of chicken breasts with the same spice blend on a cookie sheet at 375 degrees for about 35-40 minutes until cooked thoroughly. Once it’s cool enough to touch I’d shred the chicken. Another option is to even use a store bought rotisserie chicken. Once you got some cooked chicken breasts, it’s time to shred it up. I like it chunky so I use about 4 cups of shredded chicken breasts. When I way it on my kitchen scale it’s about 14 oz of shredded chicken. I’ll add the shredded chicken to a large bowl along with Frank’s Red Hot Sauce, a cup of my homemade mayonnaise, a few tablespoons of my homemade ranch seasoning, and season with a little salt and pepper to taste. Mix it up together, pour it in a baking dish and bake in a 350 degree oven for about 20 minutes. I make my own mayonnaise but you can obviously use your favorite store bought brand if you prefer. Same goes for the ranch seasoning mix however making it yourself takes just a few minutes and makes enough to last awhile! You can serve this dip with tortilla chips or my favorite is with slices of cucumber, chunks or red bell pepper and you can’t forget some carrots and celery sticks! So if you’re heading to a football party this is one tasty crowd-pleasing dip everyone will love! 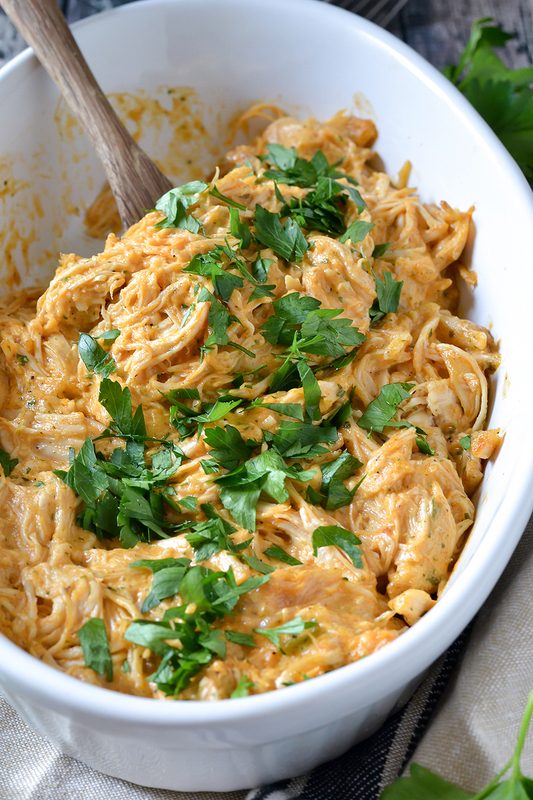 In a large bowl toss together shredded chicken, mayonnaise, red hot sauce and ranch seasoning until combined. Pour mixture into a baking dish and bake for about 20 minutes until hot and bubbly. Garnish with chopped green onion or parsley if desired. 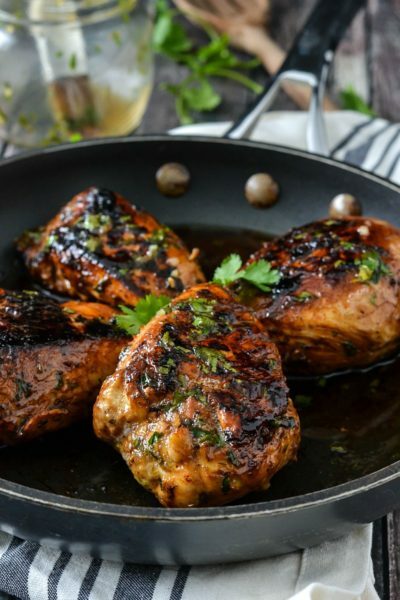 I like to toss some chicken breasts in my Instant Pot and cook for about 25 minutes. 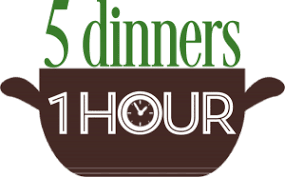 You can also bake 2-3 chicken breasts at 375 degrees for about 35-40 minutes. 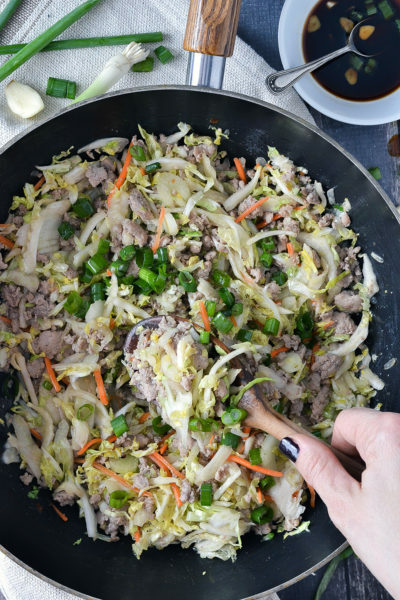 Once cool shred chicken for this recipe. You can even use a store bought rotisserie chicken. See the full post for this recipe under More About This Recipe for more details. You can use my recipe for homemade mayo or ranch seasoning or feel free to use store bought mayo and ranch seasoning. It doesn't have to me my homemade version. Simply Organic sells packets of Ranch Seasoning/Dip Mix that is good.